The best Indie Bookstore in the country!! The Book Stall at Chestnut Court, in Winnetka IL, will be offering lots of special activities and discounts and a raffle!! to celebrate all the customers who make this outstanding bookstore a success. The party starts at 10am! I will be there at 12noon, and am over-the-moon about being one of their “nationally known local authors” (I swear I did not come up with that) to help as a guest bookseller. 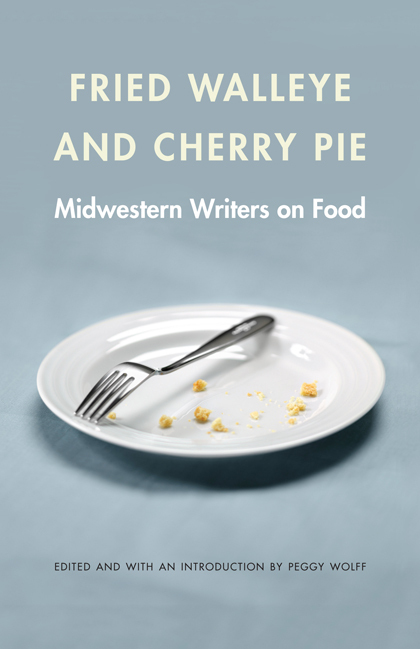 I’ll be chatting about my food anthology Fried Walleye & Cherry Pie, and two brand new food books from authors I love. Three Many Cooks: One Mom, Two Daughters, Their Shared Stories of Food, Faith, and Family from acclaimed cookbook author and former executive editor at Cook’s Illustrated Pam Anderson, and her two daughters Maggy and Sharon. Full of kitchen disasters, culinary triumphs…it’s a blend of narrative food writing and time-tested recipes, proving that cooking for those you love pays back in huge dividends. 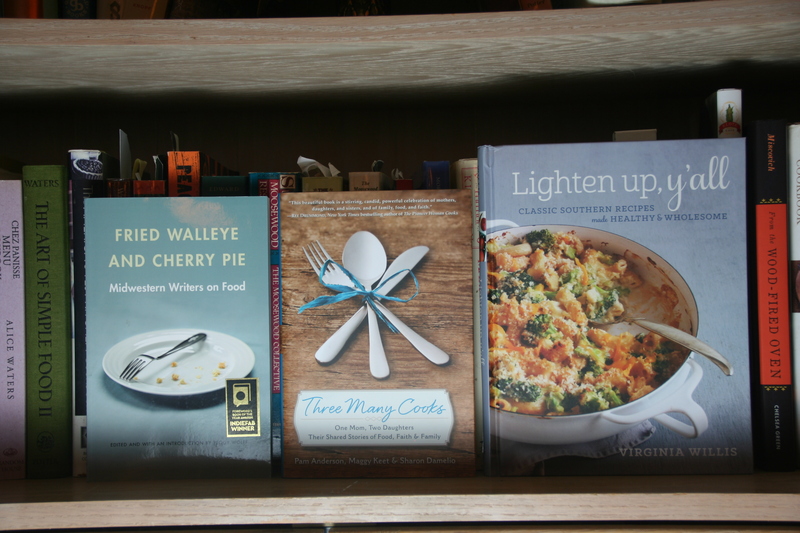 Lighten up, y’all: Classic Southern Recipes made Healthy and Wholesome from Virginia Willis, an authority on Southern food, teacher and veteran cookbook author, and “one of seven cookbook writers you need to know” (Chicago Tribune) shows us how to lighten up our diets. Without sacrificing any of the flavor or richness that makes Southern food so appealing. Yes, we can! We can still have fried chicken, grilled pork chops, shortcakes and cobblers.